Whether your customers start shopping during Thanksgiving, Black Friday, Cyber Monday or wait right before Christmas, you have to know the holiday shipping deadlines. Knowing the deadline for each carrier will ensure the items your customer’s buy from you will get to them as promised. Miss those deadlines and that special gift will not get delivered on time, which might just mean losing the customer forever. Small businesses can avoid or greatly limit late deliveries by putting in place a comprehensive fulfillment strategy. With this strategy in place, your company will have a high success rate for shipping online orders to customers not only during the holiday season but throughout the year. However, the challenges of meeting holiday shipping deadlines during this time of year are well documented. Robert Gilbreath, CMO & VP of Partnerships at ShipStation, a web-based shipping solution provider points out the challenges. One of the biggest drivers for the increased number of packages is e-commerce. 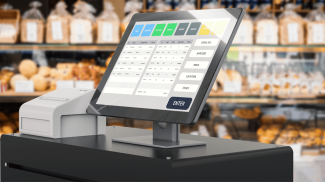 Both online and brick and mortar retailers are using their digital e-commerce platforms to ship items to customers. This has increased the number of packages being shipped year-round, but especially during the holiday shopping season. The USPS said it expected to deliver more than 850 million packages during the holiday season in 2017. Total in the 750 million from the UPS and another 400 million from FedEx, and it quickly adds up to tens of millions of packages every day. One thing to remember about the holiday shopping season is, it is never too early to start getting ready for the rush. 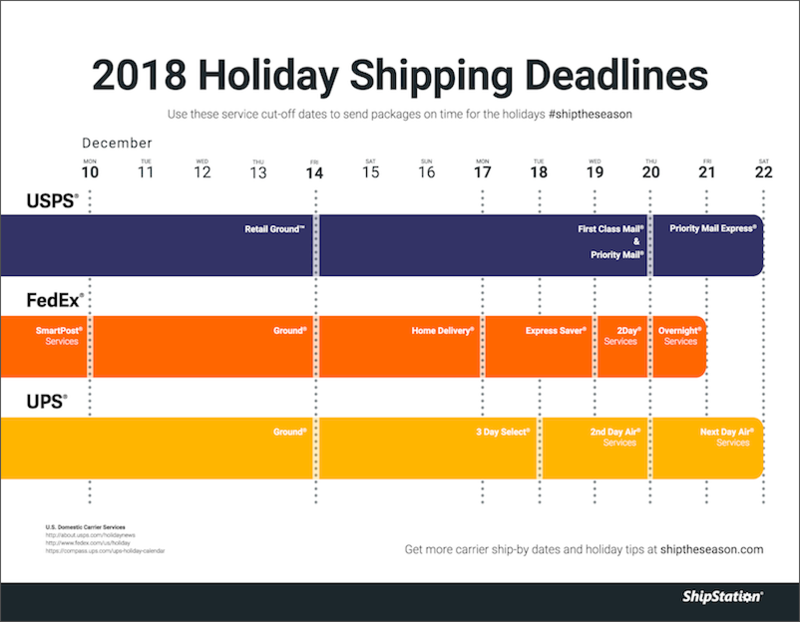 The first thing you need to find out is all of the holiday shipping deadlines from the major carriers (you can see the graphs below for all three). You should also look into local carriers who might be working throughout the holidays for specialized deliveries and services. Make this information available to all of your employees and they understand how important they are when packages are being shipped for a timely delivery. 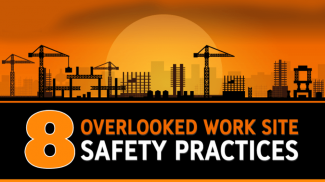 In most cases, there will be a surcharge for working on certain days. If you are going to pass the cost to your customer let them know ahead of time to avoid any misunderstanding. Once you have become familiar with the holiday shipping deadlines and fees for all the carriers, you can start planning how to handle the increased business and not get overwhelmed. The key is to keep your promises and deliver. 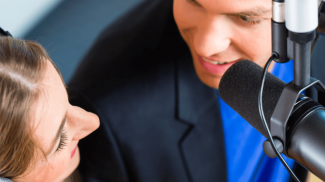 This is much better than overpromising and underdelivering because your customers will remember their experience (good or bad) long after the holiday season has come and gone. ShipStation has created a handy infographic which you can print to keep an eye on those all-important dates. 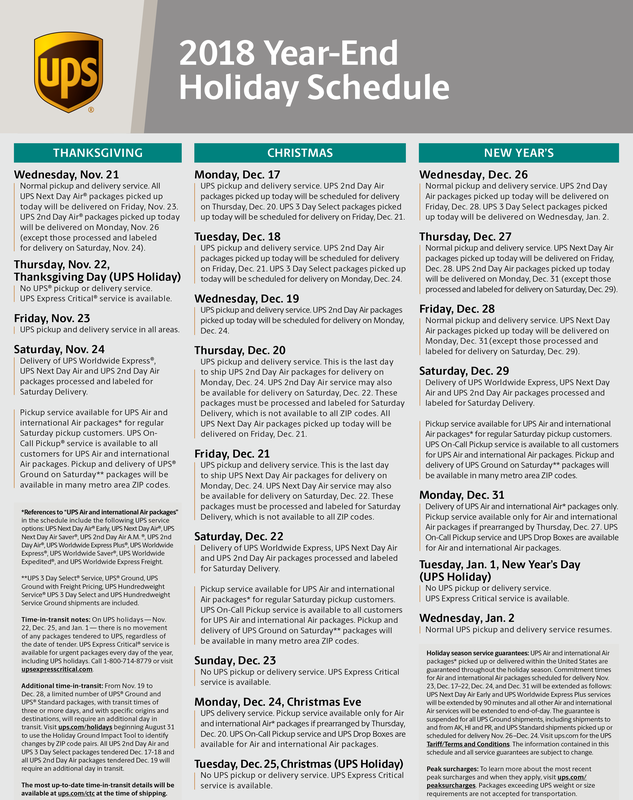 Here are additional holiday dates to keep in mind for FedEx and UPS. Shipping is essential for small businesses especially during the holidays when there is a huge influx of sales. I am excited about this even by just thinking about it.